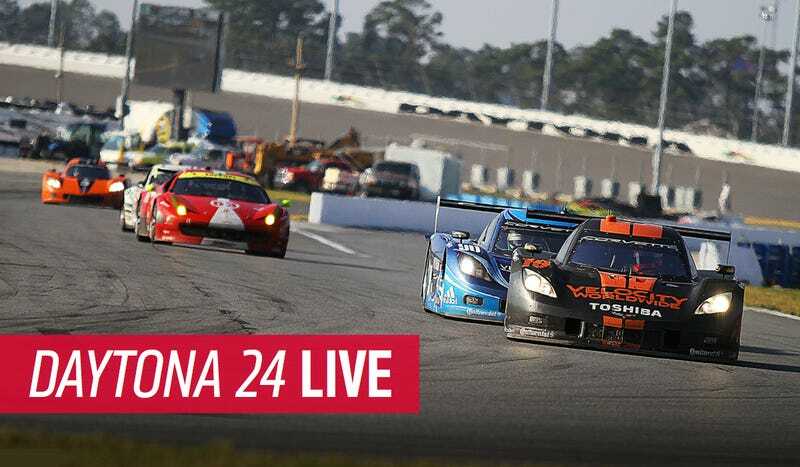 The Rolex 24 Hours of Daytona is now officially underway, and that means you have a full day to ogle everything from mid-engine Corvettes to insane diesel Mazda sedans as they blitz around the Daytona International Speedway. It can be a lot to take in, so we're lucky our man porsche9146 is here to live blog the race. If you haven't already, you need to check out his handy spotters' guide so you can tell who's who. The race is on SPEED right now, and it will run to 9 p.m. EST tonight before picking up tomorrow. You should tune in and follow along in the comments. I'll turn it over to porsche9146 now. Enjoy yourselves.